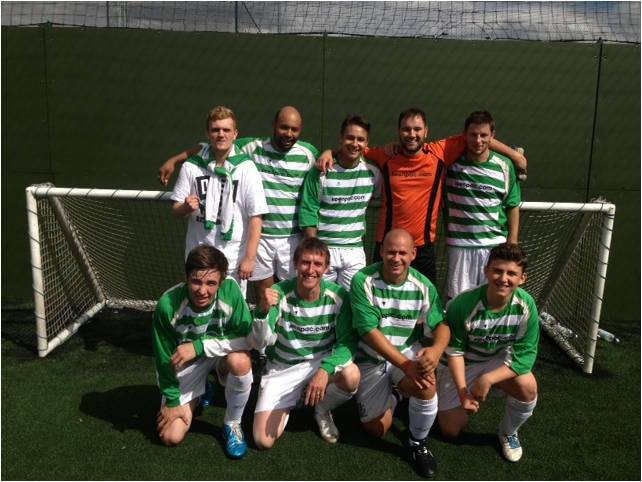 Congratulations to team Keenpac, valiant winners of the Bunzl Cup held last Saturday, 10th August, at Star City Birmingham. It’s an annual 5-a-side tournament, in which teams from Bunzl companies across the UK & Ireland battle it out to win the coveted trophy. This year’s Keenpac team, which included Team Captain David Kerr, Shaun Murney, and Jason Brown, put on a stunning performance. Leading the way in the league,after playing (and winning) three back-to-back matches,they then went on to their quarter and semi-finals to take them into the competition final. A 2-1 victory over the Bunzl team from NSS finally secured the trophy, which is now winging its way to Leicester. It was a great day for everyone across the group – and well done team Keenpac on securing their first trophy.